Alexander Ciccolo is an American citizen from Adams, Massachusetts, convicted of attempting to provide material support to ISIS. 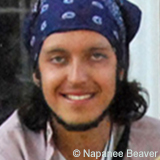 He is the son of a Boston police captain, Robert Ciccolo, who was responsible for alerting the FBI about his son's activities.Pete Williams and Tracy Connor, “Alexander Ciccolo, Boston Cop’s Son, Busted for Alleged Terror Plot,” NBC News, July 14, 2015, http://www.nbcnews.com/news/us-news/boston-cops-son-alexander-ciccolo-busted-alleged-terror-plot-n391246 Ciccolo was arrested in an FBI sting operation in western Massachusetts on July 4, 2015, after purchasing four weapons from an undercover FBI operative. After his arrest, he reportedly reaffirmed his support for ISIS.“Government’s Memorandum in Support of Its Motion to Detain Alexander Ciccolo,” United States District Court District of Massachuetts, July 13, 2015, http://www.justice.gov/opa/file/629331/download. Ciccolo pled guilty in May 2018 and was sentenced to 20 years in prison that September.“Boston police captain’s son gets 20 years for terror plot,” Associated Press, September 6, 2018, https://www.apnews.com/c6c6e6669b3a47bb91ace7f8ab61078b/Boston-police-captain's-son-gets-20-years-for-terror-plot. A former peace activist who participated in a “peace walk” in 2012, Ciccolo reportedly turned on his father and other family members who were also police officers.Brian Ross, Michele McPhee, and Brian Epstein, “Alexander Ciccolo, Cop’s Son Arrested in Alleged Terror Plot, Appears in Court,” ABC News, July 14, 2015, http://abcnews.go.com/US/accused-terrorist-son-cop-expected-court/story?id=32438388. He converted to Islam, reportedly becoming “obsessed” with the religionPete Williams and Tracy Connor, “Alexander Ciccolo, Boston Cop’s Son, Busted for Alleged Terror Plot,” NBC News, July 14, 2015, http://www.nbcnews.com/news/us-news/boston-cops-son-alexander-ciccolo-busted-alleged-terror-plot-n391246. and was reportedly inspired by the Tunisian beach bomb attacks and Boston Marathon bomb attacks. Ciccolo used the alias “Ali Al Amriki” online. Like the Boston Marathon bombing, Ciccolo reportedly tried to build his own pressure-cooker bombs, having bought a pressure cooker from a North Adams, Massachusetts, Walmart, according to the FBI.Pete Williams and Tracy Connor, “Alexander Ciccolo, Boston Cop’s Son, Busted for Alleged Terror Plot,” NBC News, July 14, 2015, http://www.nbcnews.com/news/us-news/boston-cops-son-alexander-ciccolo-busted-alleged-terror-plot-n391246; “Government’s Memorandum in Support of Its Motion to Detain Alexander Ciccolo,” United States District Court District of Massachuetts, July 13, 2015, http://www.justice.gov/opa/file/629331/download. Ciccolo’s father reported him to the FBI in the fall of 2014 saying he had become a jihadist and intended to become a foreign fighter for ISIS.Pete Williams and Tracy Connor, “Alexander Ciccolo, Boston Cop’s Son, Busted for Alleged Terror Plot,” NBC News, July 14, 2015, http://www.nbcnews.com/news/us-news/boston-cops-son-alexander-ciccolo-busted-alleged-terror-plot-n391246 That October, the FBI discovered a Facebook page under the name Ali Al Amriki, whom they identified as Alexander Ciccolo. The page contained images and statements praising ISIS. In 2015, Ciccolo began speaking with an undercover FBI operative, who said that Ciccolo wanted to travel to another state to set off pressure cooker bombs at bars and police stations. Ciccolo allegedly later told the agent that he wanted to attack a university and execute students live on the Internet.Pete Williams and Tracy Connor, “Alexander Ciccolo, Boston Cop’s Son, Busted for Alleged Terror Plot,” NBC News, last updated July 14, 2015, https://www.nbcnews.com/news/us-news/boston-cops-son-alexander-ciccolo-busted-alleged-terror-plot-n391246. In July 2015, Ciccolo ordered a 223 Colt AR-15 rifle, 556 Sig Arms SG550 rifle, 9mm Glock 17 handgun, and 10mm Glock 20 handgun from an FBI cooperating witness. The FBI arrested Ciccolo on July 4, 2015, after he took possession of the firearms.Brian Ross, Michele McPhee, Brian Epstein, “Alexander Ciccolo, Cop’s Son Arrested in Alleged Terror Plot, Appears in Court,” ABC News, July 14, 2015, http://abcnews.go.com/US/accused-terrorist-son-cop-expected-court/story?id=32438388; “Massachusetts Man Pleads Guilty to Terrorism Charges,” U.S. Department of Justice, May 21, 2018, https://www.justice.gov/opa/pr/massachusetts-man-pleads-guilty-terrorism-charges. The FBI charged Ciccolo with being a felon in possession of firearms as he was on probation for driving under the influence earlier that year.“Massachusetts Man Charged with Being a Felon in Possession of Firearms,” U.S. Department of Justice, July 13, 2015, https://www.justice.gov/usao-ma/pr/massachusetts-man-charged-being-felon-possession-firearms. The FBI also said it found several partially assembled Molotov cocktails during a search of Ciccolo’s apartment after his arrest.“Massachusetts Man Charged in Connection with Plot to Engage in Terrorism Plot,” U.S. Department of Justice, July 23, 2015, https://www.justice.gov/opa/pr/massachusetts-man-charged-connection-plot-engage-terrorism-plot. During his intake at Franklin County Correctional Center, Ciccolo stabbed a nurse in the head with a pen more than 10 times, “leaving a bloody hole in the nurse’s skin and causing the pen to break in half.”“Government’s Memorandum in Support of Its Motion to Detain Alexander Ciccolo,” United States District Court District of Massachuetts, July 13, 2015, http://www.justice.gov/opa/file/629331/download. Ciccolo apparently has a “long history of mental illness,” according to a September 2014 tip to the FBI.Pete Williams and Tracy Connor, “Alexander Ciccolo, Boston Cop’s Son, Busted for Alleged Terror Plot,” NBC News, July 14, 2015, http://www.nbcnews.com/news/us-news/boston-cops-son-alexander-ciccolo-busted-alleged-terror-plot-n391246. Ciccolo appeared at a Boston court on July 14, 2015, accused of plotting an ISIS-inspired bombing attack on an unnamed university.David Beori, “Did The Boston Police Captain Who Warned FBI About His Son Have Other Choices?” National Public Radio Boston (WBUR), July 20, 2015, http://www.wbur.org/2015/07/20/alexander-ciccolo-father-criminal-versus-civil. Ciccolo initially pled not guilty in July 2016.“Police captain’s son pleads not guilty to terrorism charges,” Associated Press, July 7, 2016, http://bigstory.ap.org/article/ec4672cf645c42b58ffcfb855624ff4b/police-captains-son-pleads-not-guilty-terrorism-charges. On May 21, 2018, he pled guilty to one count of attempting to provide material support to ISIS, one count of attempting to use weapons of mass destruction, one count of being a convicted person in possession of firearms, and one count of assaulting a nurse during a jail intake process by use of a deadly weapon causing bodily injury.“Massachusetts Man Pleads Guilty to Terrorism Charges,” U.S. Department of Justice, May 21, 2018, https://www.justice.gov/opa/pr/massachusetts-man-pleads-guilty-terrorism-charges. Ciccolo was sentenced to 20 years in prison on September 5, 2018.“Boston police captain’s son gets 20 years for terror plot,” Associated Press, September 6, 2018, https://www.apnews.com/c6c6e6669b3a47bb91ace7f8ab61078b/Boston-police-captain's-son-gets-20-years-for-terror-plot. Ali Al AmrikiMichele McPhee, Brian Epstein, and Brian Ross, “Son of Boston Police Captain Arrested as Possible Terrorist,” ABC News, July 13, 2015, http://abcnews.go.com/US/officials-son-boston-police-captain-arrested-terrorist/story?id=32414150. Alexander Ciccolo is an American citizen from Adams, Massachusetts, convicted of attempting to provide material support to ISIS. “Awesome. Awesome, you know that ah, that brother in Tunisia was impressive . . . he got like 38, 39 people … one guy … that is a huge accomplishment I think.”“United States of America v. Andrew Ciccolo, a/k/a ‘Ali Al Amriki,’ Defendant,” U.S. Department of Justice, July 13, 2015, 4, https://www.justice.gov/usao-ma/file/629356/download. “Nonbelievers have to pay.”Brian Ross, Michele McPhee, Brian Epstein, “Alexander Ciccolo, Cop’s Son Arrested in Alleged Terror Plot, Appears in Court,” ABC News, July 14, 2015, http://abcnews.go.com/US/accused-terrorist-son-cop-expected-court/story?id=32438388.